H2O Alabama Rivers and Streams Network | Clean Water For Our Future | Get To Know Your H2O Alabama! Let's Admit it...nothing is as refreshing as a glass of cool water on a hot Alabama day. Although most of us don't think about where our water comes from, we expect it to be clean and safe for ourselves and our families. 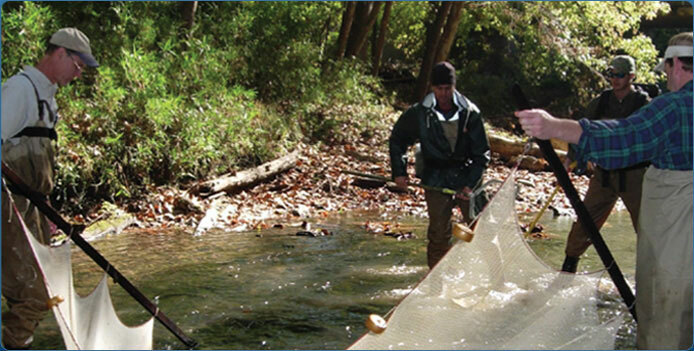 Doing YOUR part to help keep our water clean and safe is easier than you might think. If each person does their part, we can make a huge difference...one person and one drop at a time. Still unsure? See how water affects our jobs, our economy, our health, our real estate prices, and more. EVERYONE lives in a watershed, although many of us never realize it. Each time it rains, water has to go somewhere. 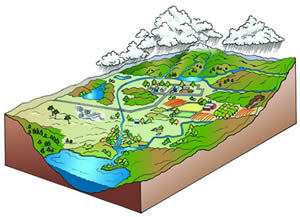 Simply put, a watershed includes all of the land that drains or "sheds"ï¿½ into a body of water. As rainwater flows to the closest body of water, it comes in contact with anything we pour or place onto the ground. This body of water could be your favorite creek or pond where you skip rocks, the river where you and your family fish, or the ocean you enjoy visiting during family vacations. Big thanks to our newest website sponsor, the Alabama Sustainable Forestry Initiative (SFI) Implementation Committee. Thanks to the SFI Implementation Committee, we can continue to share watershed success stories from across the state via the alh2o website.